Aussie songstress Hatchie blends shoegaze and pop into an irresistible debut EP. Shoegazey dream pop. Jangly chillwave. Hazy but poppy. No single modifier can describe the sound of Hatchie's debut EP, Sugar & Spice. Even the title suggests a combination of flavors. 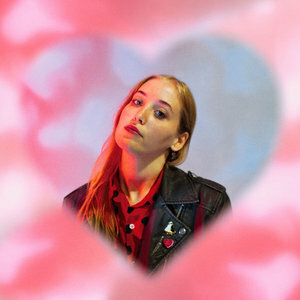 A native of Brisbane, Australia, Hatchie (born Harriette Pilbeam) grew up on a steady diet of Kylie Minogue and My Bloody Valentine, two disparate sensibilities that find a home in her music. Just five quick tracks that go by too fast, Sugar & Spice is a welcome treat. "Try" is gleaming, blissful summer jam that deservedly exploded online last year. "Sure" is a layered, heady blast of jangle pop. The title track is an upbeat meditation on a bad relationship, and all three compete for the best hook on the EP. Throughout, Sugar & Spice shimmers with the glitz of Brisvegas and the energy of an artist who refuses to be defined.